Marissa Farrar: The Dark Road is now available to buy! After a lot of hard work from myself and Gaynor at Vamplit Publishing, my second novel, The Dark Road, is now available to buy! You can read sample chapters by clicking on the links just to the left of this post, or you can download 30% free from Smashwords. 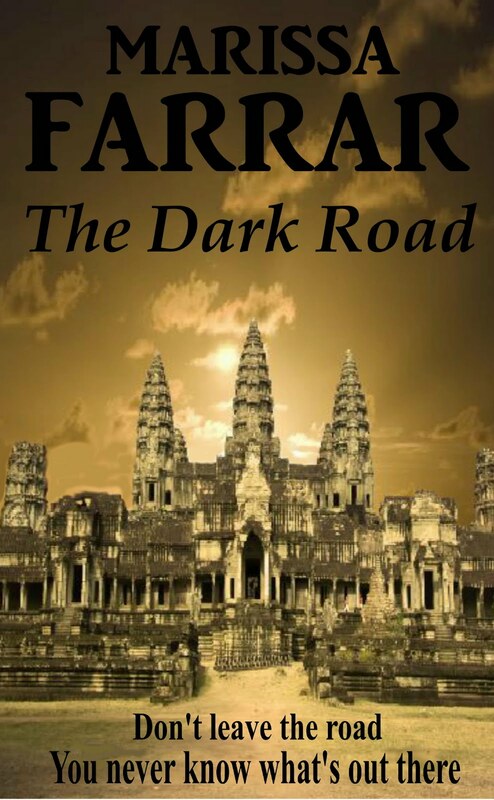 If you've ever done the 'traveller' thing, you may even recognise the journey the characters in this novel take, as they try to make their way from Bangkok to Siem Reap in Cambodia. But the backpackers have more than just the normal travel problems to worry about, as they are plunged into a world of temples, curses, and long-dead kings. It's a bargain at only $4.99 and I hope you'll all stop by http://www.smashwords.com/books/view/30776 to take a look! Awesome! Congrats on the new book!